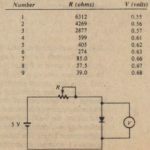 In this chapter, we will investigate current and voltage relationships in circuits that contain diodes. We will learn how to analyze a circuit containing a diode by replacing the diode with a simpler equiualent circuit element (such as a resistance). We will see that our choice of the circuit clement(s) used to replace the diode depends on the voltage and current levels in the circuit we are analyzing and on the accuracy that we desire from our analysis. This approach will serve as our introduction to this standard and widely used method of electronic circuit analysis: Replace actual devices by simpler equivalent circuits in order to obtain solutions that are sufficiently accurate for the application in which they are used. 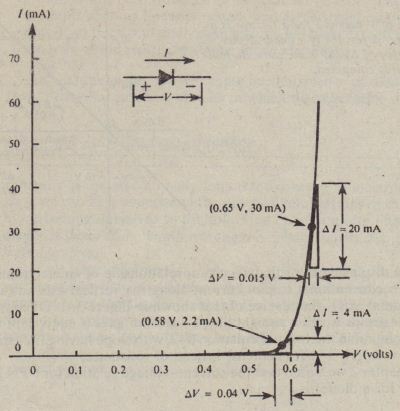 Understand that this is an analysis method; that is, we “replace” the diode by its equivalent circuit on paper only, in order to simplify calculations. 2. Many electronic devices that we will study later, such as transistors, contain PN junctions that behave like diodes. A solid understanding of diodes will help us understand and analyze these more complex devices. 3. 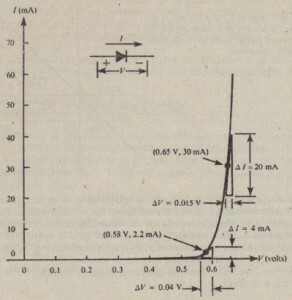 A number of standard techniques used in the analysis of electronic circuits of all kinds will be introduced in the context of diode circuit analysis. 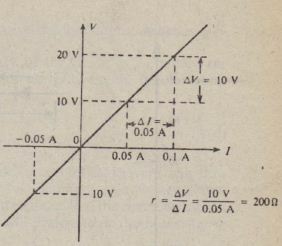 Important concepts such as linearity, small- and large-signal operation, quiescent points, bias, load lines, and equialent circuits are best learned by applying them to the analysis of ate relatively Circuit In a later chapter we will apply our knowledge of diode circuit analysis to the study of several practical circuits in which these versatile devices are used. The region on the 1- V curve where the transition from high resistance to low resistance takes place is called the knee of the curve. In Figure 3-2, the knee is in the vicinity of I “‘”1 mA to I “‘”5 mA. When the diode current is significantly greater or less than that in the vicinity of the knee, we will say that it is biased above or below the knee. respectively.